This month marks the end of Skills Competition Wales which has seen success for students, apprentices and young people across the nation. More than 1,200 students competed in 51 competitions across Wales, with 71 gold award winners across the categories. Students, apprentices and young people competed across a wide range of different vocations from welding and accountancy to photography and hairdressing. Those who are successful have the opportunity to go on to be shortlisted for the UK Squad, competing against the world’s most talented young people at the WorldSkills international final in Shanghai, China in 2021. 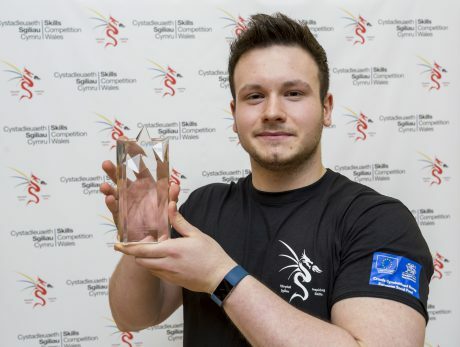 Ben Thomas, 21, who is studying level two fitness instructing, competed against 17 other students from across Wales. 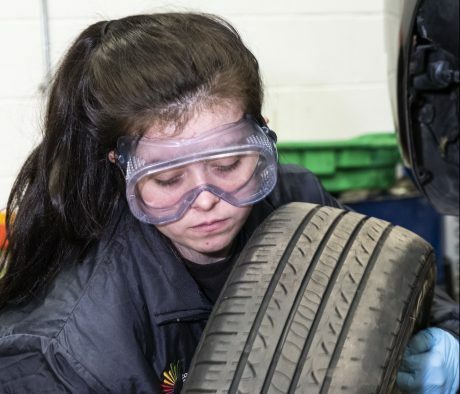 Kaisha Madeley, 18, who is studying motor vehicle mechanics, competed against 31 other students across Wales. Kaisha said: “Competing in auto technology taught me how to work independently and trust my own knowledge to complete tasks whilst also learning how to focus in a competitive environment. “The tasks included engine diagnostics, a full vehicle inspection, assessing electrical faults and a shift gear removal. “It also gave the opportunity to show the breadth of talent we have here in Wales and to celebrate the Welsh companies who are nurturing and reaping the rewards of such highly skilled, talented employees. Ensuring Wales has the skills needed for economic success has long been a priority for me personally and for the Welsh Government more broadly and it’s fantastic to see skills acknowledged in this way.